Posted on Thursday, October 20th, 2016 at 4:46 pm. 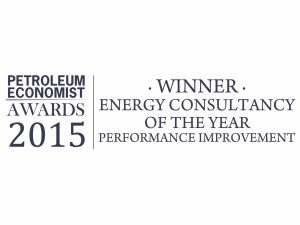 Palmer International Partnership LLP was named Energy Consultancy of the Year (performance improvement) in the Petroleum Economist Awards 2016 for the second consecutive year. Managing partner Nick Palmer was presented with the award by Petroleum Economist Managing Editor Michael McCaw at a gala dinner, held at the Banking Hall in the City of London. The awards celebrate the people, companies and projects which epitomise the best in the energy industry. In the Energy Consultancy of the Year category, the focus is on “delivering excellent strategic or operational advice, to deliver measurable improvement in performance”. Palmer International Partnership’s expertise in helping hydrocarbons companies to get the best performance from their facilities clearly impressed the judging panel of Abdalla El Badri, former Secretary General of Opec; Torstein Indrebø, Honorary Secretary General of the IGU; and Malcolm Graham Wood, Founding Partner of HydroCarbon Capital. In particular, the company’s achievement in improving the economic viability of a world-scale naphtha cracker. By improving the planned design to deliver an increased EBITDA of $140m per year. The lead bank and investors deemed this sufficient to validate the project’s economic viability. Posted on Thursday, October 20th, 2016 at 1:55 pm. Palmer International Partnership LLP was named Energy Consultancy of the Year (performance improvement) in the Petroleum Economist Awards 2015. 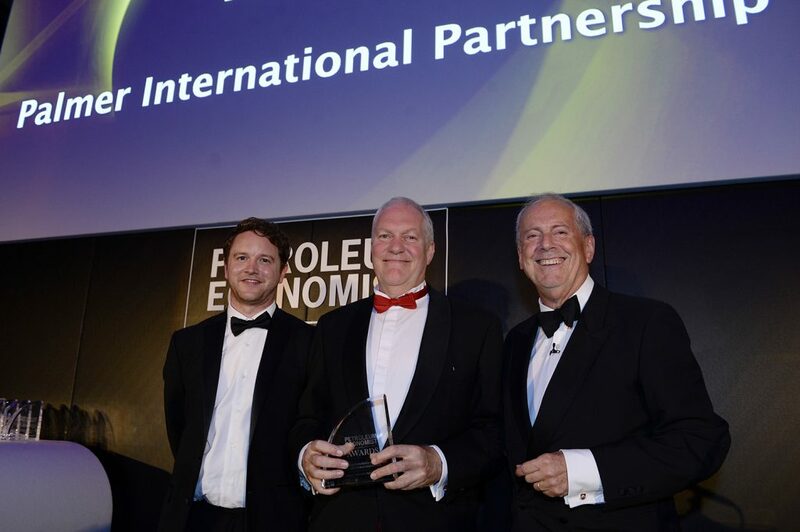 Managing partner Nick Palmer was presented with the award by Petroleum Economist Editor William Powell at a gala dinner, held at the Banking Hall in the City of London. Palmer International Partnership’s expertise in helping hydrocarbons companies to get the best performance from their facilities clearly impressed the judging panel of Abdalla El Badri, Secretary General of Opec; Torstein Indrebø, Honorary Secretary General of the IGU; and Malcolm Graham Wood, Founding Partner of HydroCarbon Capital and acclaimed industry commentator. In particular, the company’s achievement in saving one refinery $30 million a year by introducing a new hot water belt for collecting heat from various process units to pre-heat deaerator feed water. Posted on Tuesday, September 22nd, 2015 at 10:45 am. 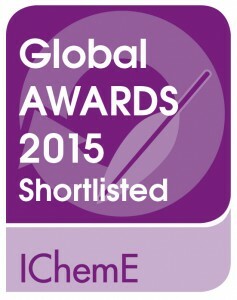 Palmer International Partnership LLP has made it through to the final stages of the IChemE Global Awards 2015. The company is shortlisted in the Oil and Gas category for its project entitled, ‘Saving Energy, Boosting Yield’. The winner will be announced on Thursday, November 5 at the Hilton Birmingham Metropole. The IChemE Global Awards celebrate excellence, innovation and achievement in the chemical, process and biochemical industries. This year the awards attracted 500 entries from 40 countries, 100 of which made the shortlist for the 16 categories. This is the second awards shortlist to include Palmer International Partnership – last month the company was named as a finalist for Energy Consultancy of the Year in the Petroleum Economist Awards 2015. Posted on Friday, August 21st, 2015 at 5:08 pm. Less is more is a concept that is generally lacking in the field of engineering where the design philosophy seems often to make things more complex than they need to be. 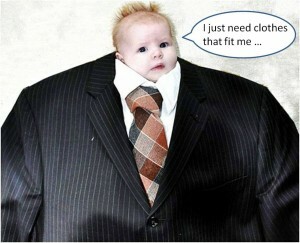 I was reminded of this during a recent project for an oil refining client in the Middle East. It was the design of a piping system at the bottom of a column for transferring a stream through a series of heat exchangers into a downstream furnace. By well- established convention, the system would be designed for the highest possible flow rate and pressure drop of the system, with an allowance of an additional 30% of the total pressure drop for the control valve. This sets the pump (usually a centrifugal pump) differential pressure requirement. Posted on Friday, August 21st, 2015 at 5:04 pm. Posted on Tuesday, August 18th, 2015 at 1:51 pm. Posted on Wednesday, August 12th, 2015 at 2:13 pm. Posted on Wednesday, July 15th, 2015 at 4:04 pm. Could an oil refinery be as smart as your phone? 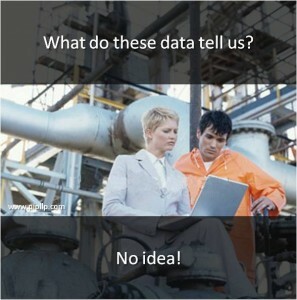 During a recent visit to a newly-built oil refinery in Asia, I was struck by the large quantity of data collected, which the operators and engineers were then asked to review. Unfortunately, they ended up with mountains of paper which actually didn’t tell them very much, let alone what they could do to boost the refinery’s performance, which evidently is the point of collecting all these data. Posted on Thursday, May 14th, 2015 at 1:49 pm. Refiners hit by the drop in the price of crude oil should look to “Smart” performance improvement projects to rescue depressed margins. That is the view of Dr Chin Kin Ong, Principal Consultant at Palmer International LLP. Writing on the company’s website www.pipllp.com/blog, he said that the current state of the market had forced many oil and gas refiners to cancel or delay multi-billion-dollar investment projects. 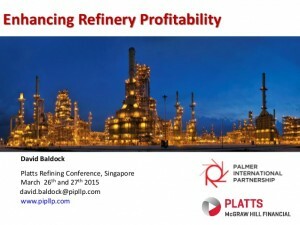 He cited the example of how Palmer International engineers were able to save one refinery $30 million a year by introducing a new hot water belt to collect waste heat from various process units to preheat deaerator feed water. All for an investment of just $10 million. However “Smart” projects are not easy to identify, often requiring a holistic approach. Nevertheless, the results usually speak for themselves. Posted on Monday, March 9th, 2015 at 9:00 am.